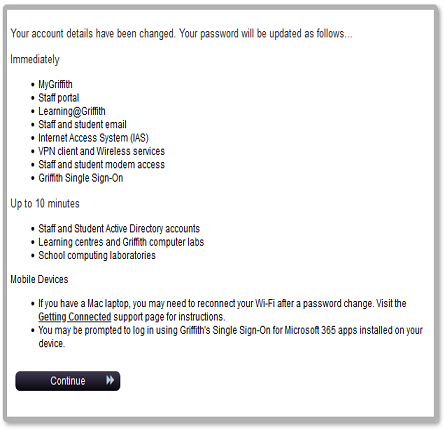 the next time you login after resetting your password using the password phone service. 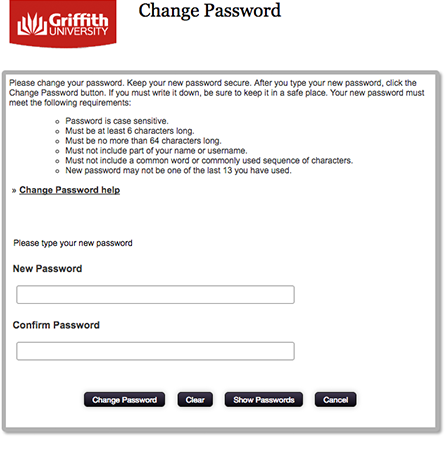 Temporary and reset passwords must be changed on your next login. Unchanged passwords will expire. If the password expires, see Forgotten Passwords. 1. 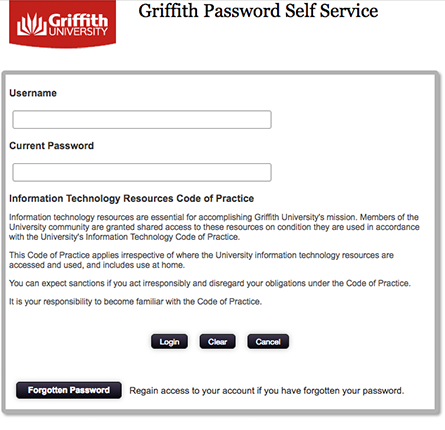 Select Change password on the Single Sign On page, or go directly to Password Self Service. Enter your (sNumber) and your current, or temporary password and login. 2. 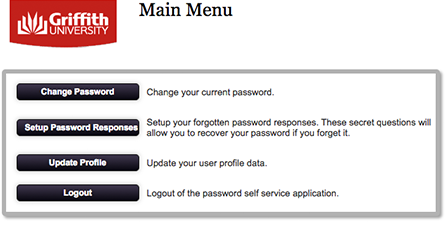 Select Change Password from the menu, and The Code of Conduct will be displayed for your perusal. Select I agree and Continue.